From now through April Denver International Airport, the Loveland Museum/Gallery and the Loveland Chamber of Commerce present an exhibition honoring the historic and contemporary hearts and arts of Colorado’s Sweetheart City. The exhibit is displayed along the walkway from the main terminal to Concourse A. It is before the security screening area and is accessible to all DIA visitors. 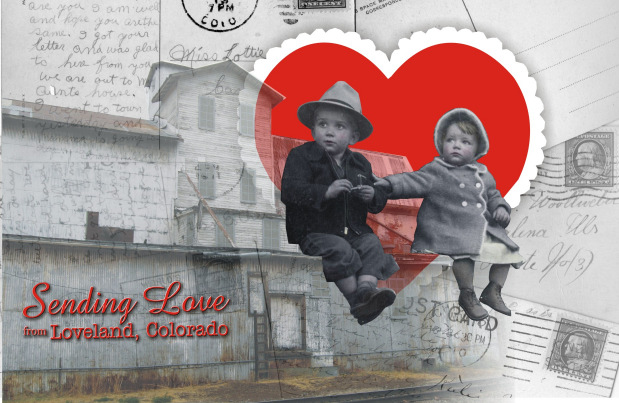 Instead of stepping on the moving walkway, stroll down memory lane as you pass the cases of antique Valentines and trace the history of Loveland’s Valentine remailing program. 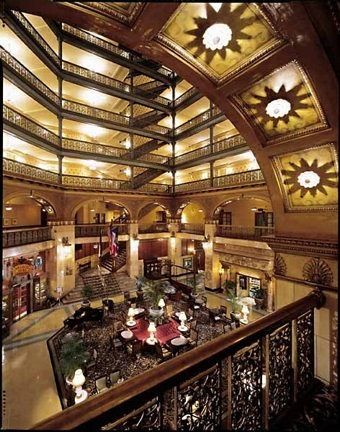 In recent decades Loveland has developed as a world renown art center. Studios, foundries, galleries and International shows support a large community of sculptors. Works displayed at DIA include bronzes by George Lundeen and Fritz White and the distinctive animal Interpretive Realism of Rosetta – all Loveland residents. A bonus to current DIA visitors are kiosks with free postcards, take a moment to write a message to your favorite Valentine(s), address the card and place it in the special Valentine drop box. 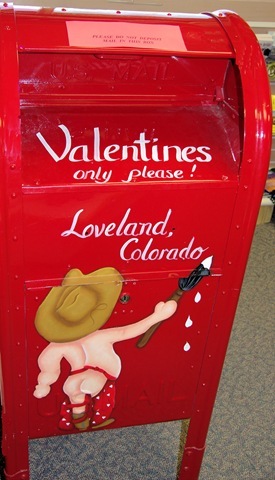 The Denver International Airport’s Art Program will pay the postage and deliver your postcard to the Loveland Post Office to receive the 2009 Loveland cancellations and Valentine cachet. 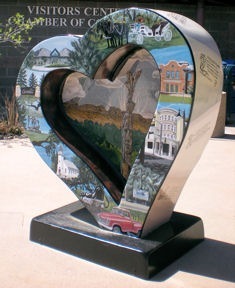 For further information about the Loveland remailing program see the previous post, The Sweetheart City – Loveland, Colorado.